A retired four-star Marine Corps general examines how wars can be lost before they’ve even begun. In his latest collaboration with co-author Koltz (Leading the Charge: Leadership Lessons from the Battlefield to the Boardroom, 2009, etc. ), Zinni brings his five decades of military experience to bear and draws on lessons from past wars to set out vital preconditions for successful military intervention. No matter the provocation for war, we must respond first with sound analysis. Intelligence experts must not only gather the pertinent data and define the problem, but also provide the context necessary for sound decision-making. Second, responsible executives must look at all the options, the policy implications and consequences of any decision. Here, styles may vary—Zinni cites Eisenhower and Truman as models—and depend on a variety of factors, but the president must find a way to fully comprehend the implications of any decision to use force. Third, we must design and implement a dynamic strategy that synchronizes the efforts of our political leadership, policy developers and operational commanders. 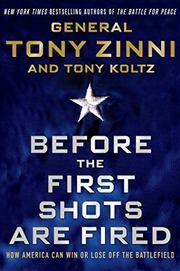 Throughout, Zinni touches on a variety of topics: the critical role played by any secretary of defense (thumbs up for William Cohen, down for Donald Rumsfeld); the need for strong legal, ethical and moral grounds anchoring any narrative arguing for war; the fashioning of a military force adaptable to the mission; the proper role of contractors, the National Guard and Reserves; the necessity of meritocratic selection of combat leaders; the need for overhauling national security structures, some of which date back to the 1940s; the need to update our regional and global partnerships; and the importance of words and ideas, “the battle of the narrative,” to accomplishing our goals. If today’s wars too often “end” not in victory but instead with an exasperated, “How the hell did we get here?” it’s likely due to the fact that we have ignored too many of the issues Zinni raises. A useful guide for anticipating the complexities of the modern battlefield.